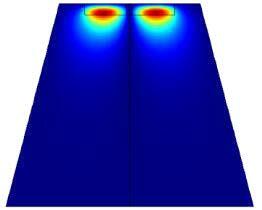 It depends on a lot of things, like the amount of polarization that is achieved in the PTFE dielectric resonator. 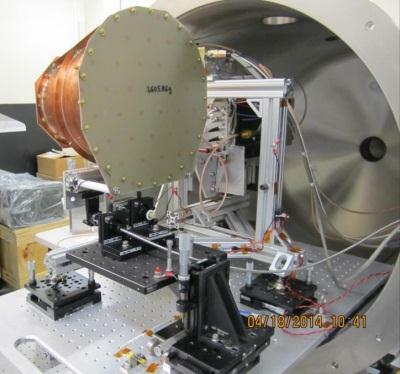 This we know: there was no measurable thrust when they removed the PTFE dielectric resonator and the direction of the thrust correlates with the location and polarization of the dielectric resonator. That's fine then. Due to the small number of electrons needed, we don't really need an avalanche, just some "modest" level of ionization within the dielectric resonator. Unfortunately, didn't I read that they have plans to change the dielectric for the IV&V thruster models? Always a mysterious special sauce, it would seem. Ausência de evidência é evidência de ausência de evidência. But enough talk about you. Let's talk about GoatGuy's math. I don't think it's correct. Lemme try again. How did he get from Ek = ½ma²t² to Ek = F²t²/(2m)? For those having difficulties following the recent discussion between aero, RotoSequence, Notsosureofit and me, we have been analyzing the possibility (among many possible explanations) that the anomalous thrust experimental results may have been due to (unintended) field emission of electrons from the ("Teflon") PTFE dielectric resonator (acting as an unintended electron rocket with Teflon acting as the propellant). If such an explanation for the experimental results would be true, it would mean that the thrust was not at all due to the Quantum Vacuum or to Woodward's transient mass effects, and the dreams of a quick trip to the moons of Jupiter and Saturn using this type of propulsion would be thoroughly dashed. Comprende ? For those having difficulties following the recent discussion .... Comprende ? I do follow the gist of the conversation. What I don't follow are the various specifics. Which is fine in principle, even as it requires my trust in your all's line of argument. The idiot in me sees the genius in you. But what about GoatGuy's math? I spent four beers and an hour going over his post yesterday evening, and I choked at the point I mention above. such that, simply, acceleration=velocity*time. We might as well state this clearly (even though it is inconsequential) [where I use "v" for velocity instead of GoatGuy's "V" to comply with John's request]. (In GoatGuy's derivation the constant velocity term B is zero). Well, not quite. The electron supply could be deliberately designed into the thruster using a hot cathode for example. The question becomes, is the thruster reactionless or not? If the electrons somehow penetrate the base plate and exit the system then the RF resonate cavity thruster becomes nothing but an interesting electron thruster using electrons as the reaction mass. It still has a very good Isp but charge imbalance would quickly eliminate the thrust in space. It would show very good performance when tested in a grounded vacuum chamber. But we can reasonably expect that the electron stream exiting the cavity would be detected in testing. If instead the electrons somehow do not exit the cavity, it becomes a reactionless thruster which will allow the benefits of the high Isp of the electron beam without the problem of charge build-up on the cavity. This would be a new and to my mind very useful class of thruster. This leads to my question, "How can the RF waves in the cavity turn the high speed electrons from the axial direction to the sideways direction to impact the side walls without an action in the axial direction?" Yes, that's better stated, thank you. The field emission of electrons (from the PTFE dielectric resonator) classical explanation as an electron rocket using the PTFE as the propellant implies that the cavity is leaky enough (at the opposite end of the PTFE dielectric resonator) to allow axial escape of the electrons. If the experimental measurements were indeed due to any propulsion (a significant assumption in need of verification) I find the idea of real electrons being responsible for it more plausible than virtual electron/positron pairs from the Quantum Vacuum being responsible. I agree that there are big problems with this explanation, and it appears as another desperate attempt at explaining the experimental results: A) the field emission of electrons when calculations show that the Electric Field is two orders of magnitude lower than the dielectric breakdown, B) the cavity was not tested in a vacuum, since axial trajectory of electrons would need a vacuum, and C) it is unlikely that the opposite end is porous to electrons. I don't have an answer to your question. I don't understand why is there a need for "RF waves in the cavity [to] turn the high speed electrons from the axial direction to the sideways direction", since we don't know what is on the interior surface of the circuit board (large diameter) end, and axial exit (perpendicular to the large diameter surface) is needed for axial propulsion. Initially didn't understand what you were aiming at with your electron gun, then your drawing rung my momentum conservation breaking alarm, now this is clearer with this phrase. Answer : they can't. Action, reaction. If a field turns a particle flow sideways so as to zero its axial momentum, then the axial momentum of the flow has to be imparted to another part of the system. There is no fundamental difference between a long range field mediated momentum exchange and contact forces, consider the thought experiment where the electrons are a water jet, and the field is a solid "conical ramp" (er, quarter circle revolution surface ?) that smoothly throws the jet sideways in a plane perpendicular to the jet. This deviating ramp would be imparted a thrust exactly equal in magnitude and opposite to the thrust of the water jet at its emission. If the ramp and the emitting nozzle are mechanically linked then the system will always have 0 net thrust overall. That is : without rewriting all known physics. also from a more practical point of view : there can't be smooth electron trajectories like that unless in a good vacuum, the later results (anomalous thrust...) not being in such vacuum. Just an update from the pictures: There is circuit board material on both ends of the truncated cone. The second layer on the large end seems to be just part of the mount. Does anyone know where the dielectric material is in the cone ? not sure if this was spanish or portuguese (like in the last JohnFornaro posts). If it´s portuguese, there are two Es there... "compreende". but please, follow on. I have not heard portuguese mixed with propellantless propulsion since reading Orson Scott Card's "Speaker to the Dead". at Rodal, regarding both the possibility of the teflon acting as a thruster and the derivation of Woodward's equations, I guess Paul March would be able to answer... I guess those questions would not be under his NDA with NASA. not sure if this was spanish or portuguese (like in the last JohnFornaro posts). I have this material. I think the small end looks different because of the lighting, although some of the pieces I have are darker or lighter than others. Frustum Dielectric looks like a simulation of a superconducting cavity. Did the model use a realistic copper wall w/ complex n ?? There is no distinction between the cavity's interior and the (copper ?) metal wall in the COMSOL finite element analysis display of the Electric Field, so my reading of this is that the metal wall was modeled as a Boundary Condition for the field. Frustum Dielectric... model use a realistic copper wall w/ complex n ?? 2. The alternative of the real electrons disappearing into the quantum vacuum. The first idea has been discounted by critics. The second idea has not been put forward, to my knowledge. Of course there are the ideas put forth by Shayer, and by the Chinese experimental group, as well as new ideas that might be held Boeing and Cannae groups.